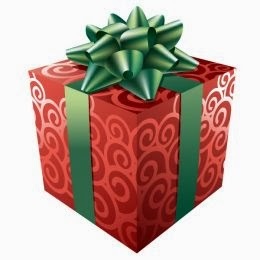 as Christmas presents for the school age children I see for therapy. 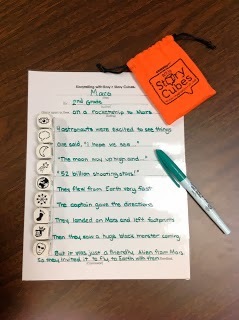 Overall, these Story Cubes are one of my favorite tools for listening and spoken therapy for both children with auditory processing needs and those with hearing loss. It’s compact, durable, and has many applications. 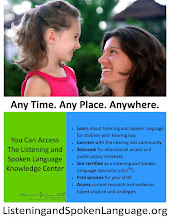 I wouldn't be surprised if this was a game designed by a speech therapist or special education teacher. Here are a few targets that are can be your hidden agenda while playing one of the suggested games variations described on the box with your child. Problem Solving – Interestingly, this skill is described on the game’s packaging. 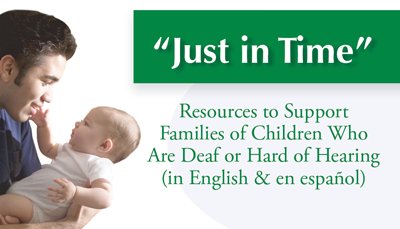 Trying to fit nine seemingly unrelated objects or actions into the same theme or story is a problem-solving skill that’s appropriate for children and encourages creativity. Item Identification – Most of the icons in the game are easily identified, and if they’re not, that provides an excellent opportunity to make a series of educated guesses and to talk about. 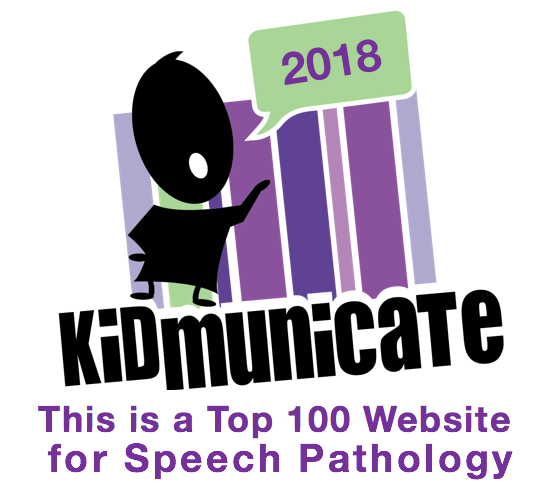 Expressive Language – With dice that depict both nouns and verbs, you have the most basic components of a sentence – an excellent scaffold for all forms of spoken language development. 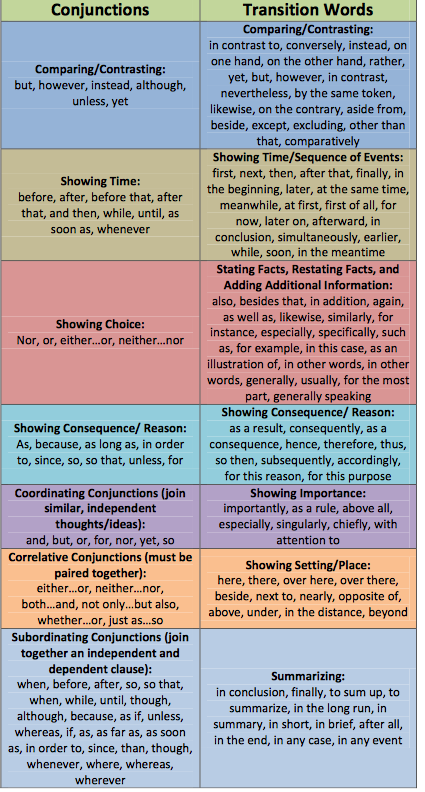 Use of conjunction and transition words - Here is a free printable list from my colleague at ConstantlySpeaking.com. Print a copy and have it handy when telling stories. 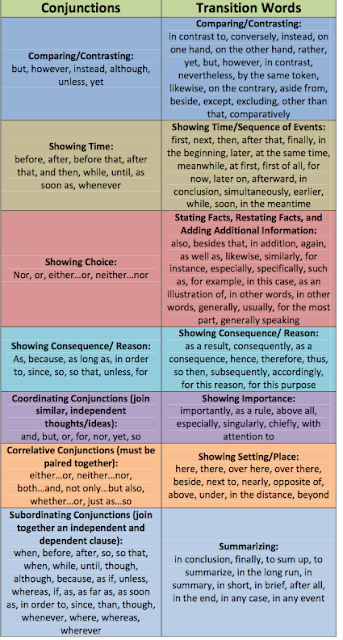 Remember to model these words when telling your stories and then you child will listen and incorporate conjunction and transition words in their storytelling. Cube Sets to your collection! 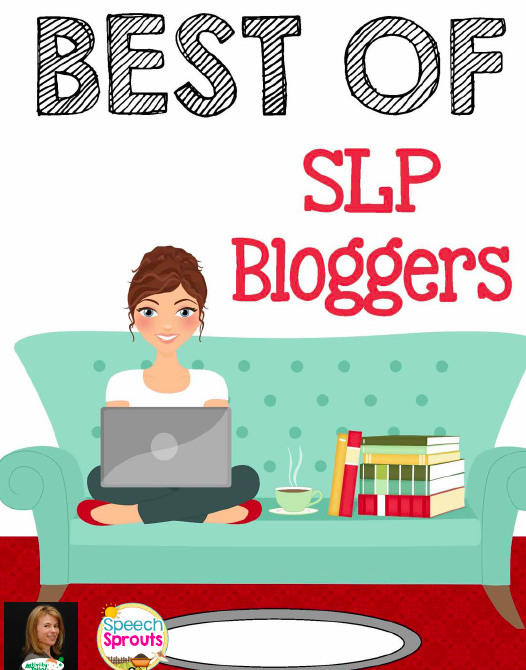 Danielle Reed at Sublime Speech shares other ideas for storytelling and offers free templates to download for storytelling. 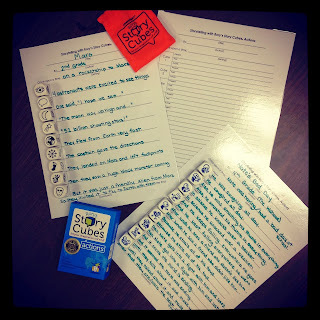 In addition, read as Danielle writes how to use the action dice is to practice verb tenses. 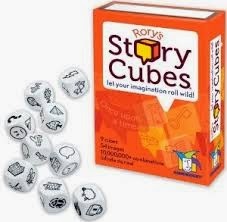 Check out below these links for bloggers who share how they use Rory Story Cubes in speech and language therapy. 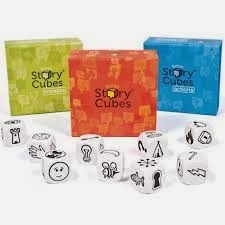 Speech Therapy - another professional way to use Rory’s Story Cubes®. 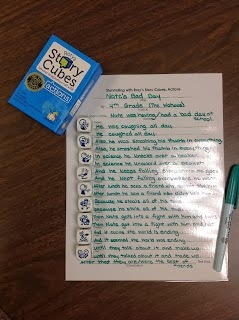 9 cubes, 54 images, 10 million combinations, infinite stories.